Get a self-cleaning pool today! Now, owning a fibreglass self-cleaning pool is possible. The Vantage in-floor cleaning system is a unique water circulation system designed to reduce chemical usage, eliminate cold spots and keep your pool clean of debris without the need for regular hand vacuuming or any other cleaning equipment. 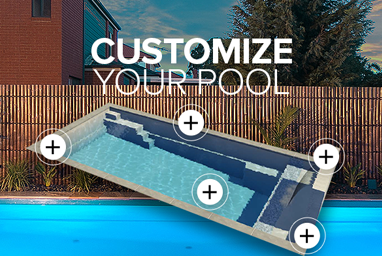 Vantage forms an integral part of the smart pools concept. Watch this video to find out how owning a Compass Pool with the Vantage system can set you free to enjoy your pool as you should! For some buyers a pool can be a deterrent to buying a house. Pools often seem to go hand-in-hand with a lot of hard work; the great thing about Vantage is that it allows you to have a hassle free pool. Real Estate Agents regularly tell us that they love selling homes that have one of our Vantage operated pools because they can finally sell the idea of having a pool that you can truly enjoy. If you’re thinking of selling your home in the future, be sure to stop and think about how your pool will impact the sale of your house. 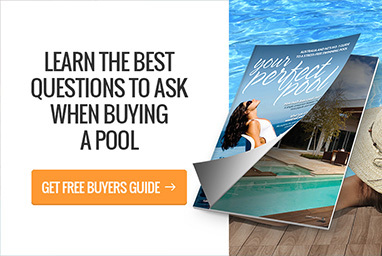 Wouldn’t it be great if the market saw your pool as a key selling point? The Vantage self-cleaning option makes for a really strong sales point. I can assure prospective buyers that the pool will require virtually no maintenance and is very economical to run. I know this because I have a Compass Pool in my backyard. I can’t promise that with any other pool. 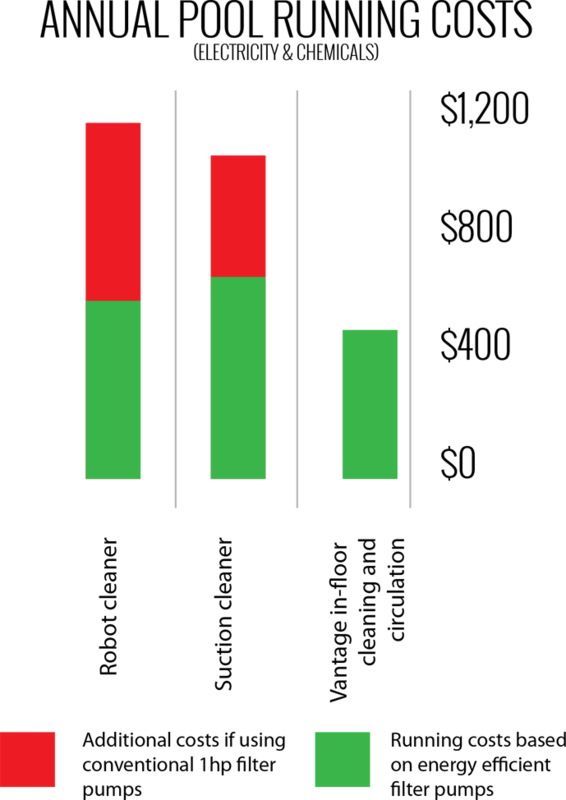 It’s also a real point of difference when potential buyers are comparing similar houses. A great advantage to have in a tough housing market. 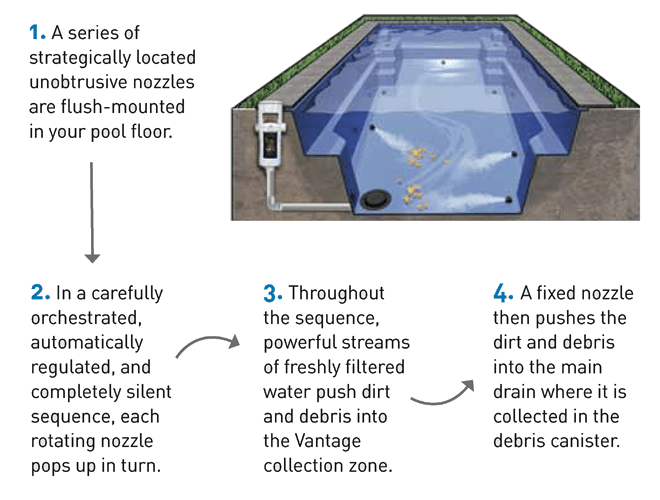 We would definitely recommend the Vantage self-cleaning and circulation system to anyone considering installing a pool in the future. We believe that when there is manual cleaning of a pool, this often becomes a chore and takes the shine off having the pool. The initial cash outlay for the Vantage system may have been a little extra, but definitely worth the money to have crystal clear water all year round. What a fabulous summer we have had and have enjoyed every minute in our beautiful pool. We both just love it and have had so many good comments from friends. I have attached some photos for you to show other customers that are thinking of the Ice Blue – we love the colour. Everything is running smoothly with the pool and it is so easy to maintain. 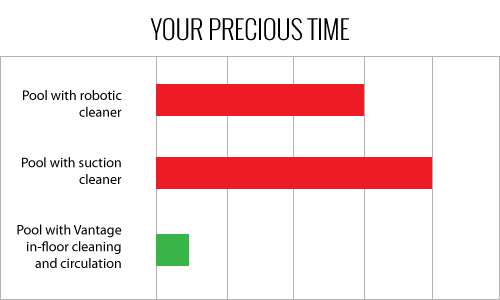 Reduce chemical usage by up to 50%. Save up to $600 in running costs a year*. No unsightly robots or suction cleaners. Safer, cleaner healthier water. No more cold spots of water.